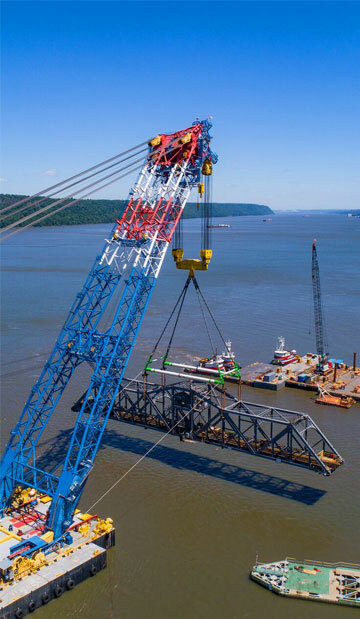 Industrial Lifting & Rigging Supplies Near Me | Holloway Houston, Inc.
Holloway Houston manufactures and assembles a wide variety of slings and premier lifting appliances for the oilfields, construction, OEM, Aerospace and other industries. Holloway Houston understand that our customers’ applications must always operate at peak performance. This is why we offer a wide range of lightweight synthetic slings. Plasma 12-Strand is manufactured from High Modulus PolyEthylene (HMPE) that is enhanced by Cortland’s patented recrystallization process. Holloway’s large inventories, quality manufacturing, value-added services, testing facilities, and state-of-the-art equipment combine to deliver end-to-end industrial lifting solutions. Holloway Houston’s MORBAR Spreader Bars and Rigging Rental division has a worldwide presence in the engineering, manufacturing, and assembly of associated rigging. Get a free and quick quote that fits into your budget. Easy, fast and supported by the best qualified team to support you to get the best service and quality. Welcome to HHI Lifting, the site of the nation’s largest single-location sling shop and testing complex. Our company, Holloway Houston, offers everything that’s needed for your industrial lifting needs, combining quality products with state-of-the-art testing services made available at our world-class testing facility. Holloway’s certified and experienced technicians perform visual inspections and other nondestructive testings. Holloway’s offer a comprehensive range of services that includes testing, technical, weighing, fabrication and other services. The products we sell are chosen from the world’s leading manufacturers to assure our customers that anything they receive from HHI will meet their expectations. For your convenience, Holloway Houston has made available for download the Crosby group’s catalog. You may download the Crosby group catalog by sections or in full. Whether you’re looking for more information on a particular product or service that we offer, or you would like to send a suggestion, you’ll find easy ways to contact Holloway Houston here.